Toffee Pecan Snowdrop Cookies - Chocolate Chocolate and More! 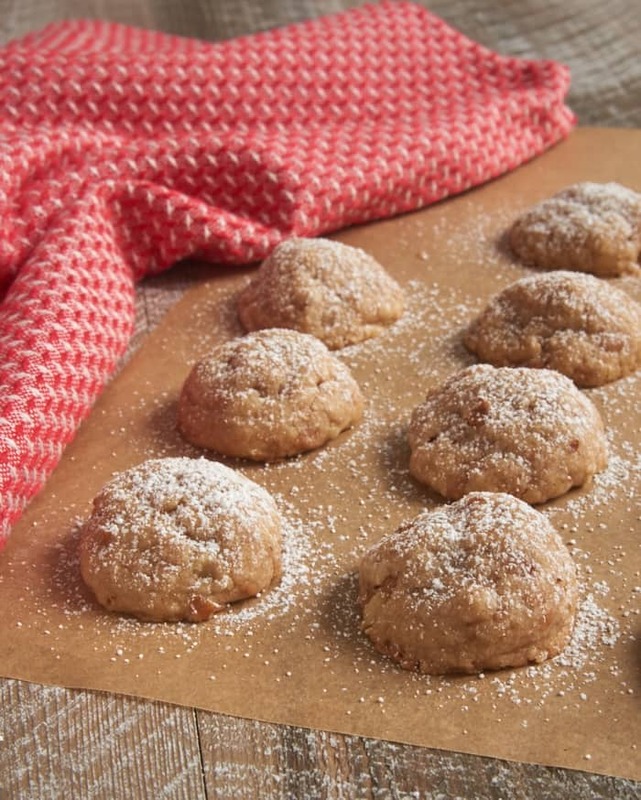 Toffee Pecan Snowdrop Cookies are a flavorful twist on wedding cakes. 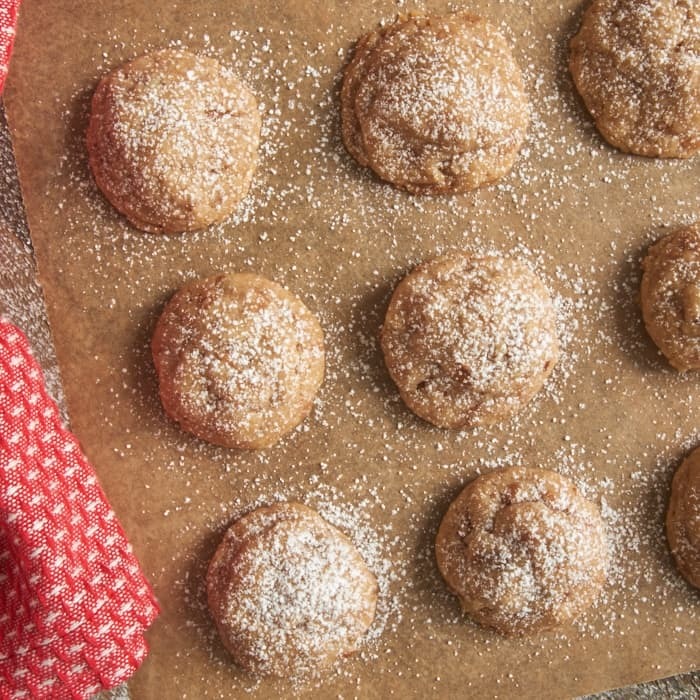 Pecans, cinnamon and toffee in a buttery, flaky cookie. They’re the perfect companion for a cup of hot coffee, tea, or hot apple cider. Hello! I’m Jennifer from Bake or Break, and I’m so happy to be sharing a recipe with you on Chocolate, Chocolate, and More! I love to bake all kinds of things, but cookies are my favorite. I love to see rows and rows of freshly baked cookies on my kitchen counter! Throughout my childhood, my mother and I would make a really simple, buttery, nutty cookie every holiday season. She called them Sand Tarts, but they are known by many names – Wedding Cookies, Snowdrops, Russian Tea Cakes, among others. These Toffee Pecan Snowdrop Cookies are a variation of those cookies that I’ve loved for so long. I added toffee bits, a bit of brown sugar, and cinnamon for a great flavor twist. They give these cookies a much more rich flavor than the original sand tarts. While I will almost always choose pecans, these cookies would also be great with other nuts like almonds or hazelnuts. If you have a favorite, feel free to make that substitution. I’ll give you one bit of advice for making these cookies. The cookie mixture will be quite crumbly, but it should hold together when you pinch it. My tried and true technique is to portion the cookies and then squeeze the dough together in my hand to compact it a bit. Then, just roll the dough between your palms to form a ball. Other shapes work, too. You can make crescents, logs, or anything else you like. These cookies are the perfect addition to your holiday cookie lineup. Their simplicity combined with their amazing flavor make them a favorite! Whisk together the flour, cinnamon, and salt. Set aside. sugar, and vanilla until thoroughly combined. Preheat the oven to 350°F. Line baking sheets with parchment paper or silicone liners. pans, leaving about 2 inches between the cookies. 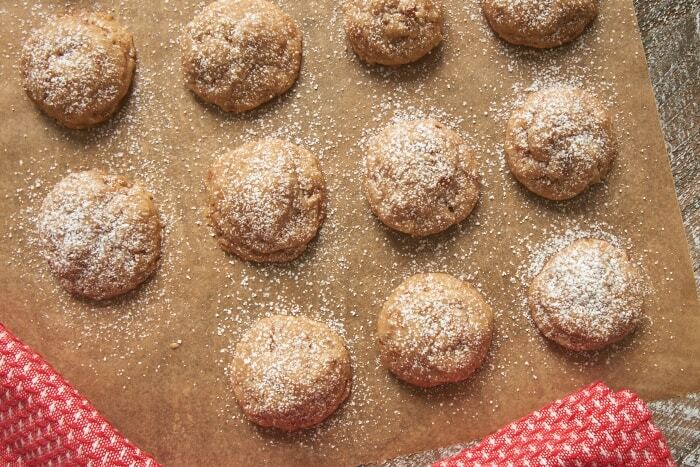 the tops of the cookies with confectioners’ sugar. For my gluten (and lactose)-intolerant friend, I found a recipe for Wedding Cookies years ago which uses no flour, just ground almonds (or pecans), several egg whites, cinnamon and sugar. Very light and totally delicious! Must try these for everyone else on my gift list this Christmas, have another friend with Crohn’s, so nuts are not for him!